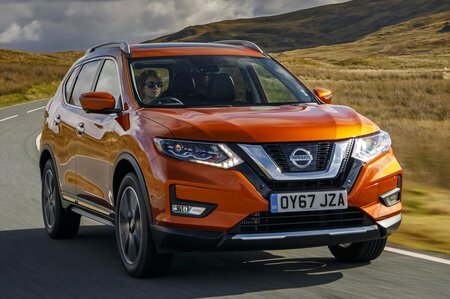 Nissan X-Trail 1.6 dCi N-Connecta 5dr 2019 Review | What Car? What Car? will save you at least £2,217, but our approved dealers could save you even more. N-Connecta brings a 7.0in touchscreen with sat-nav and additional safety assist features, such as automatic emergency braking, lane departure warning and traffic sign recognition. You also get 18in alloys wheels, front and rear parking sensors, a bird’s-eye-view parking camera, keyless entry and start, as well as a hands-free power tailgate. It's our pick. This is the lower-powered diesel choice and is offered with a choice of front or four-wheel drive when paired with the standard six-speed manual gearbox or as front-drive only with the optional CVT automatic transmission. It pulls reasonably well from low revs, but ultimately it’s down on power compared with many rivals and not very refined. The auto gearbox exacerbates this, sending the engine revs flaring when you put your foot down.